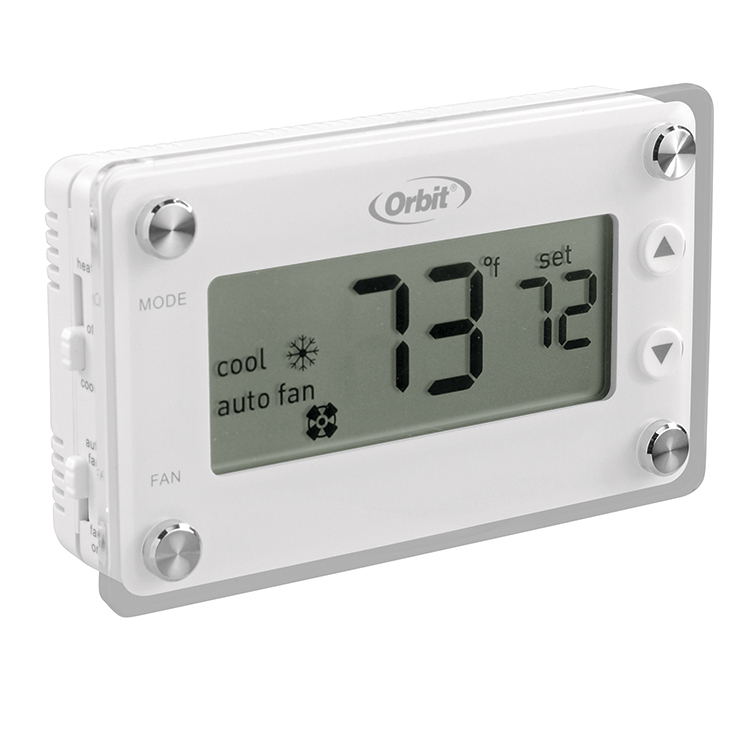 Orbit's Clear Comfort Non-Programmable Thermostat delivers consistent performance combined with an elegant and modern design. Accessible and easy-to-use controls allow for quick, straight-forward adjustments. This thermostat is compatible with 1-stage gas furnaces with or gas fan, 1-stage oil systems, 1-stage heat pumps, and cooling systems. 1-stage.